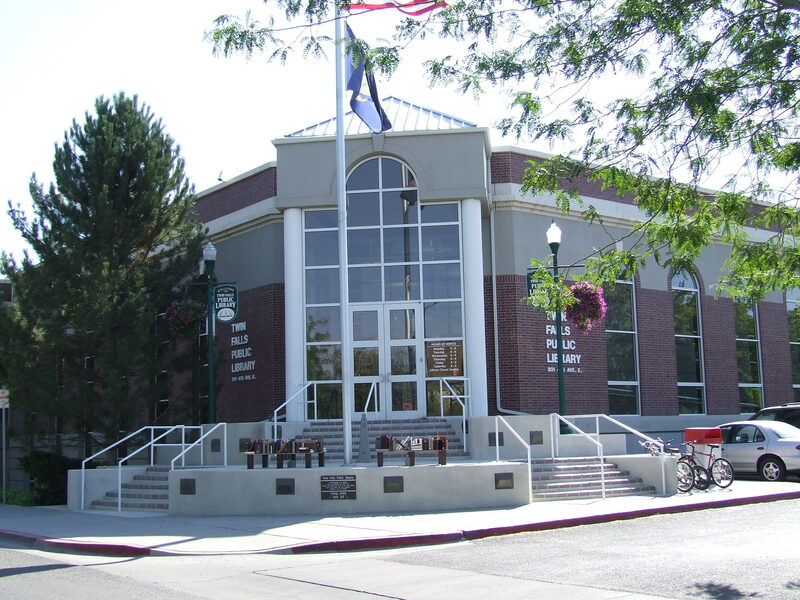 This blog is run by the Reference Librarians at the Twin Falls Public Library in Twin Falls, Idaho. We’re happy to help you with any question you have, whether you need a good book to read, need to know the capital of Burkina Faso (it’s Ouagadougou), or need to figure out how to navigate our crazy downtown diagonal streets. Our contact page is here. Our phone number is 208.733.2964 ext 109. Our address is 201 4th Ave E, Twin Falls, Idaho 83301.
i was wondering about the contest you guys are doing to get kids to read. do u mind if i ask some questions. I’m doing a report on this subject for my school. That’s a great question. Our Young Adult Department is sponsoring the contest (which may end with a pie in the face of one of the Librarians!). They can give you more of the details, such as how many books are the end goal. You can call 733-2964 ext 110, or you can go to our website and then click on “Contact Us” in the upper right. Have fun!